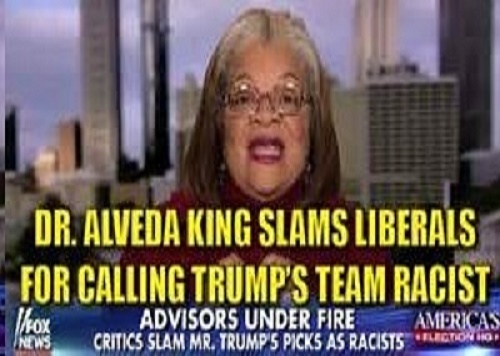 November 4, 2017 Alveda King 0 Comment Cookbook, Evangelist Alveda King, Niece of Dr. Martin Luther King Jr.
Why is Alveda King writing a cookbook? Who even knew she could cook? Does anybody care? 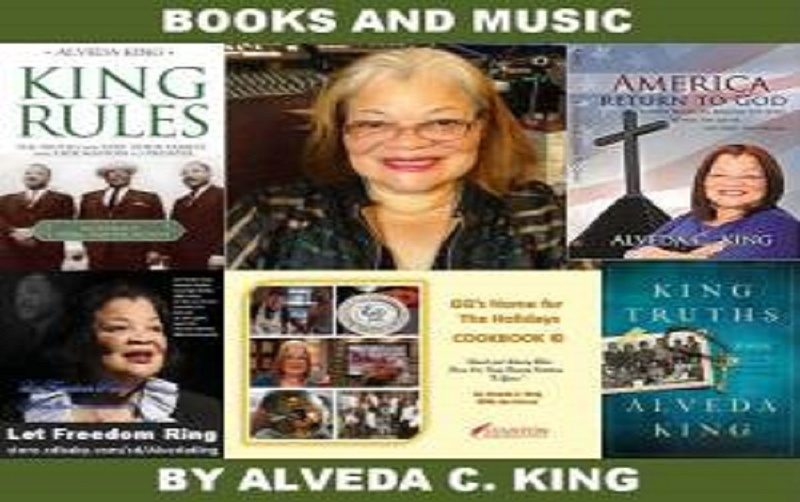 In 2015 Evangelist King, prolife civil rights activist and Christian minister released KING RULES, her second print release in a series of “King Family Legacy” books. Her first legacy book SONS OF THUNDER: KING FAMILY LEGACY was written in the 1990s and was considered by some to be “controversial.” In 2016, King released AMERICA RETURN TO GOD which continues with narratives of how her relationship to the bloodline of her famous uncle, Dr. Martin Luther King, Jr. ties in with her work in the 21st century. In 2017, the “creative evangelist” continues her “legacy assignment” with the soon to be released KING TRUTHS. Added to the series is something King considers to be “lighter fare” in the form of her new cookbook, GG’S HOME FOR THE HOLIDAYS COOKBOOK which is currently available online as an e-book. Print copies should be available mid-November.